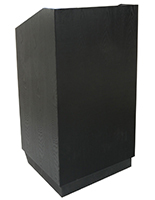 Why is having high-quality hostess podiums & valet stands so important for so many businesses in the hospitality or customer service industry? 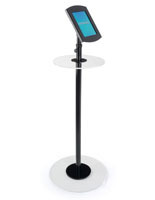 Because a concierge or customer service station is not only generally the first stop for patrons or clients entering a restaurant or hotel, but it is also the first thing they look for when they need assistance. 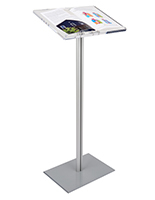 Easily visibile, elegant hostess podiums & valet stands are a necessity for restaurants, hotels, airports and other hospitality establishments. 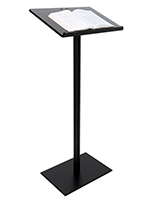 Trade shows, promotional fairs and other off-site environments also use this type of standing lectern as a concierge or maitre 'd station. 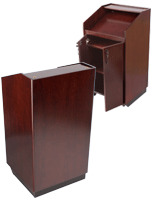 Many hostess podiums & valet stands for customer service areas feature wheels for easy movement from place to place, and many also include storage compartments for items varying from menus and silverware to sale merchandise or car keys. 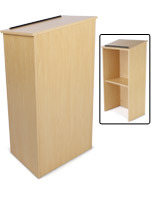 What types of customer service lecterns work best in public environments? 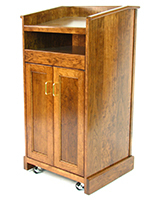 The classic wooden hostess podium, concierge or valet stand is a staple in restaurants and hospitality establishments across the world. 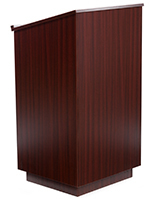 Available in a wide variety of traditional finish colors that can be matched to any decor, traditional concierge or maitre d' stations are also manufactured in a number of different designs based on the standard wooden lectern with open storage back. A curbside check-in station or valet stand can make the reservation or check-in process faster and easier for customers. 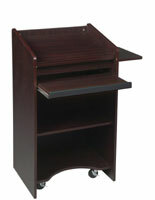 Models with wheels allow even the heaviest traditional wood lecterns to be moved as needed for convenience. 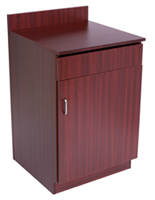 Built in storage for supplies, merchandise and even specialty items such as keys turn simple lectern stands into multi-functional customer service centers. 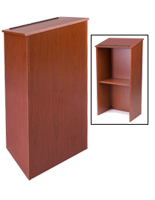 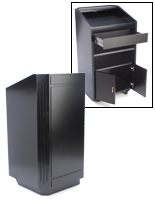 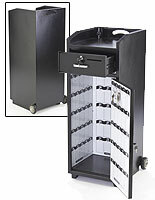 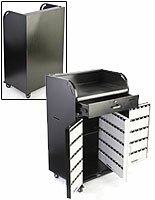 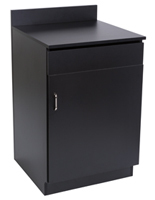 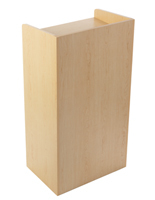 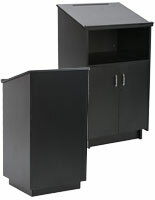 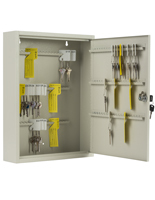 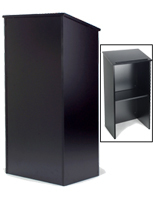 Some valet key cabinet models are designed primarily for security but feature podium style tops for a professional look. 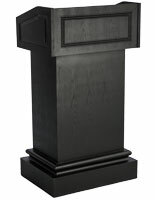 Economy of style is the secret that allows many pedestal-style reading podiums to function equally well as restaurant or maitre 'd stands. 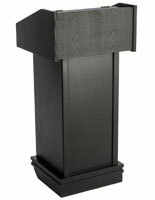 Integrated lighting fixtures make it easy for presenters or staff to access notes, reservations, and other service information. 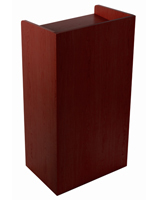 Warm finishes and high visibility give customer service, valet parking and restaurant hostess stands and lecterns a more friendly appearance and feel. 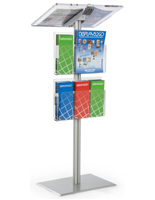 Simple designs ensure that patrons and clients can easily find assistance. 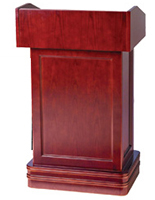 Whether used by greeters, presenters or service staff, this style of public presentation furniture makes a great first — and lasting — impression. 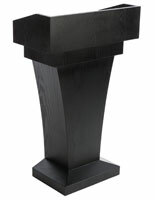 Our large selection of concierge style hospitality fixtures are available in a wide variety of designs and finishes to match the decor of any environment.